There is committed accountability and excitement that participants bring to a Mastermind Group. The awesomeness of Mastermind Groups is that members raise the bar by challenging each other to generate and implement goals, share breakthrough ideas, think outside of the box and support each other with decency, reverence and consideration. Mastermind participants act as facilitators for growth and edification for other members. There is no sugar-coating going on here. This is a place to play devils advocate and to ask the tough questions. What Is The Difference Between A Networking group And A Mastermind Group? Networking is all about business leads, spreading the word about your business and what you do. It works best for local businesses if you’re in the service industry. It’s a luncheon, or a 1-2 hour meeting with people looking for deals or looking to trade your service for theirs and usually a company is chosen every week to speak. I was in a networking group for years and it worked awesome. There was no personal commitment to show up, but hey, you’re in their directory now. In a Mastermind Group there is not networking going on here at all. A group is usually limited to 4-6 people with a focus on fine tuning, growing or expanding your business. The facilitator of the group (group leader) can ask a set of questions within a group or take 1 question from group members prior to the meeting to discuss each members question with everyone chiming in with their own personal life experience. It’s really no different from a banks board of directors having a meeting. In a Mastermind Group the group decides the scheduled time, and each person’s contribution is key. Other members give feedback, help you brainstorm new potential opportunities, and set up accountability structures that keep you focused and on track. Working together will create an individual trust between members that will take you to new heights and personal growth. You’ll gain opportunistic insights, which can expand your business and personal life. Think of it as presenting a product to the Shark Tank. You’ll get honest and frank answers. Sometimes you’ll get answers you don’t want to hear. Why Should You Be In A Mastermind Group? You’ll get answers and ideas from other business professionals. You will gain upper hand experience from others who are more experienced than you are. You will be held accountable for the goals you presented to the group. You create your own personal business network. It’s a way to stay informed about the local news or laws. What Type Of People Should Be In Your Mastermind Group? are a positive influence and/or a mentor in their personal or business life. are not competitors. No one is going to join with their competitor in the group. No one wants to share their trade secrets or slip up on who their prize customer is. 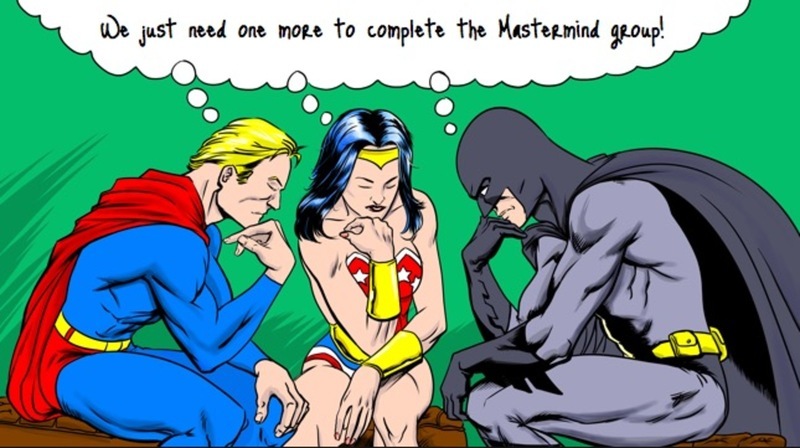 There are many ways a Mastermind Group can communicate. It will all be dependent on how far you want to reach out to form a Mastermind Group. If distance is an issue, you can telephone or Skype with Google+ hangouts (up to 10 people is possible) or you can meet in person. It is also up to the group on how often they want to meet. Once a month is recommended, but that will be up to whatever your and the group decide. Commitment is high on your list of candidates. You’ll looking for mature self motivated people who are willing to give support, are not afraid to ask tough questions and are willing to show up to every meeting. It’s recommended to have 4-6 people in a group. Choosing The Right People For Your Group. 1. Are you willing to commit to 1-2 hours per month? You need a solid YES on this answer. Any hesitation or questioning of this answer is not showing commitment or excitement to be in a Mastermind Group. Dates and times can be re-arranged if they are really interested. 2. Do you operate or run a business? You need to bring experience to the table. You need people with life experience who have been there and done that. 3. Where do you see yourself in 2-3 years? Your looking for someone who is yearning for business growth, who is looking to expand what they already have. People who want to take it to the next level. They are the ones who are digging and looking for the information they need to reach their objective and goals. Do not overlook any retired business owners! THIS is where the GOLD is!! They’ve been there and done that. They have priceless information. If I could be in a Mastermind Group with nothing but retired executives, I’d be asking to meet more than once a month! !